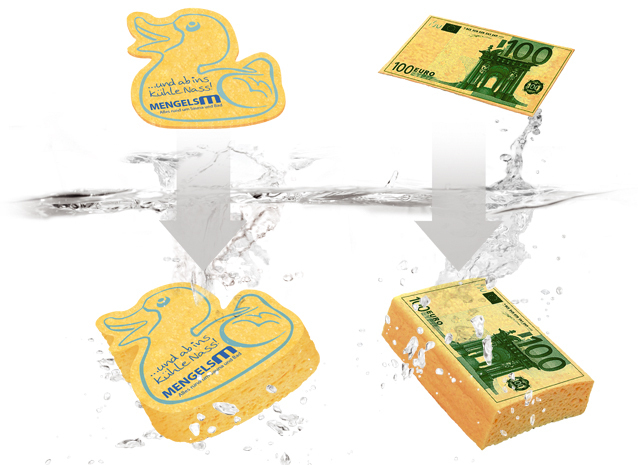 For many reasons it can be a big advantage to compress viscose sponge material. 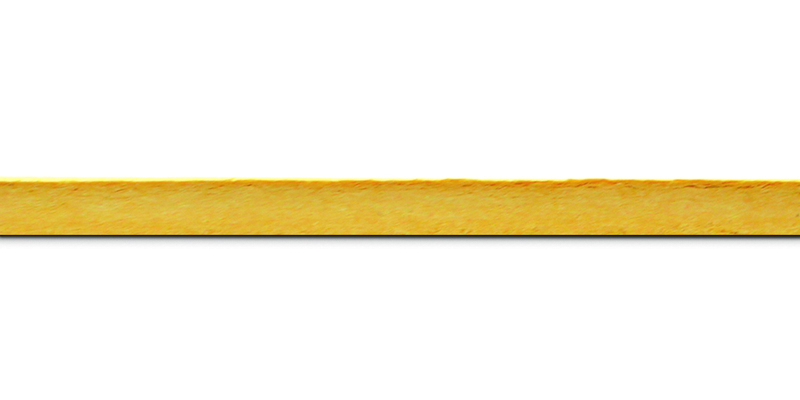 For industrial solutions (for example, sealing or water stop systems) this process provides a reasonable basis for the function of this application. Generally the compressing delivers many more advantages, like cost savings in storage and logistics. Spontex uses industry presses with up to 250 tonnes of power to compress the sponge. 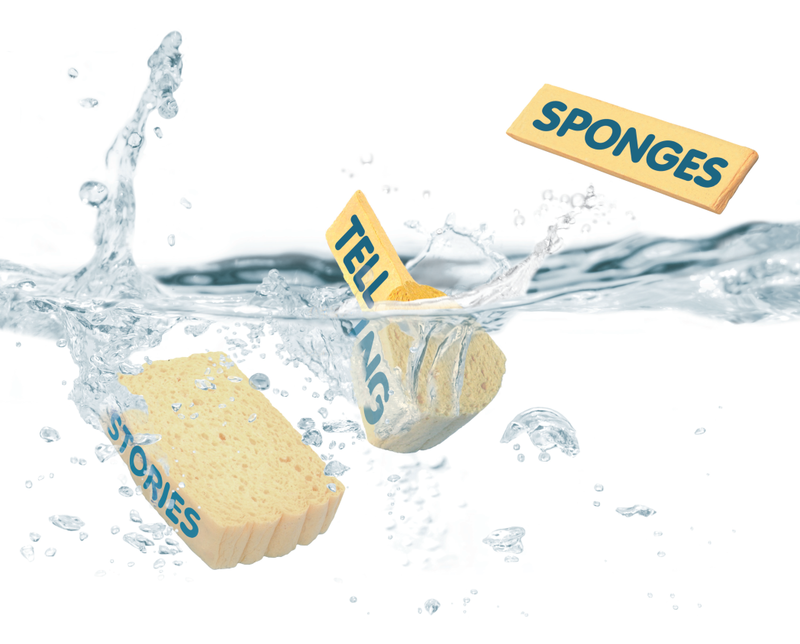 Compressed sponges are also known as expanding, swelling or pop-up sponges. 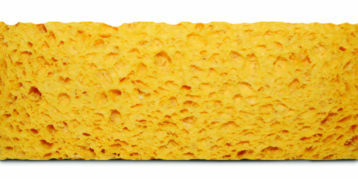 They are formed using dry cellulose sponges which are compressed under high pressure and heat. 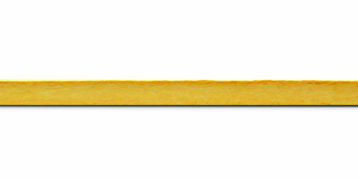 This means that they offer specific advantages for further processing and applications. 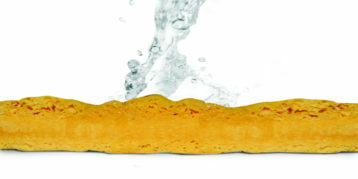 On contact with liquids they expand to their original size and have the same properties as un-pressed sponge from thereon. 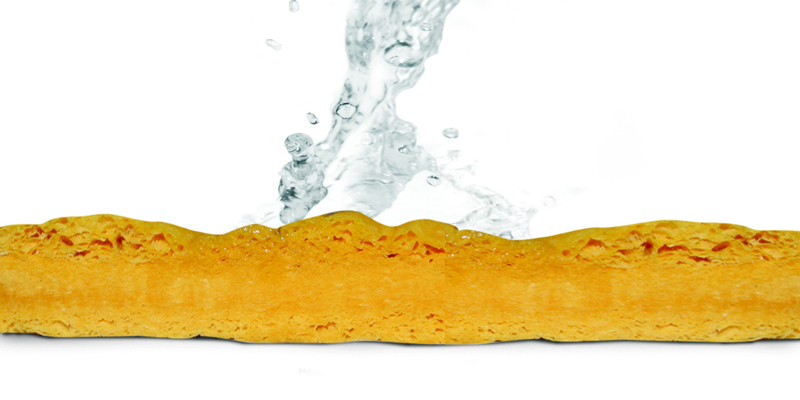 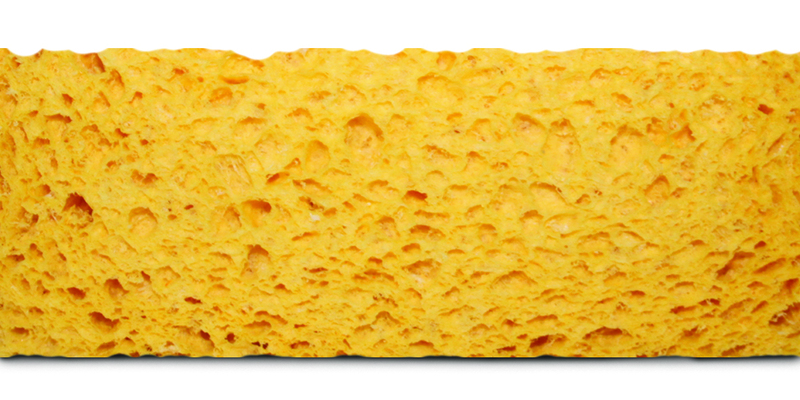 The liquid absorption factor of a compressed sponge is up to 20 times its own weight.